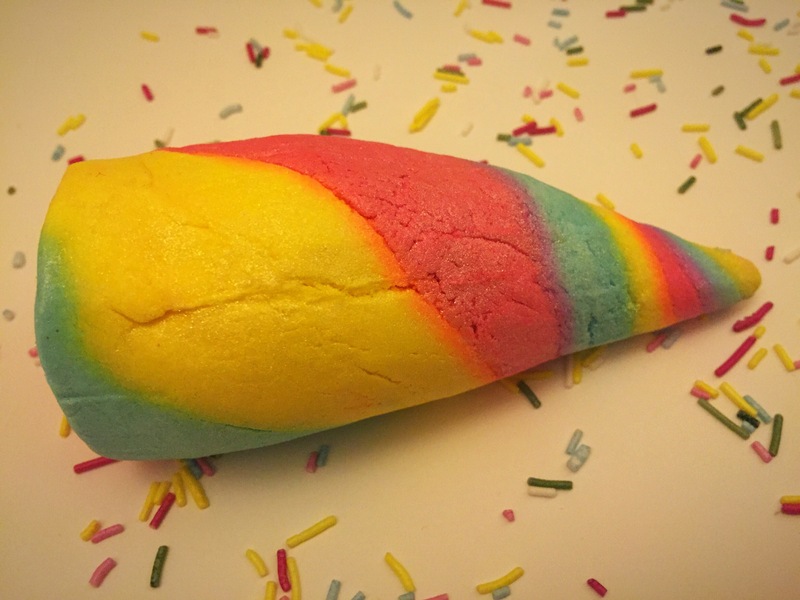 When it comes to bubble bars the unicorn horn has got to possibly be the most colourful and magical design that lush have ever released. Although this product was part of the lush Valentine’s range last year, this is the first time that I have actually tried the product. The first thing the drew me to this mystical sounding product was its fantastic design and array of colours. The unicorn horn features a mixed twist design of pastel pink, yellow and blue. This creates a beautiful mix of the colours and a helping of shimmer adds that magical touch to this product. However when I first smelt the unicorn horn i defiantly wasn’t a fan of the scent. I found the unicorn horn to have a very strong and slightly over powering lavender scent. Due this I actually put the bubble bar away and didn’t end up using it for over a week. 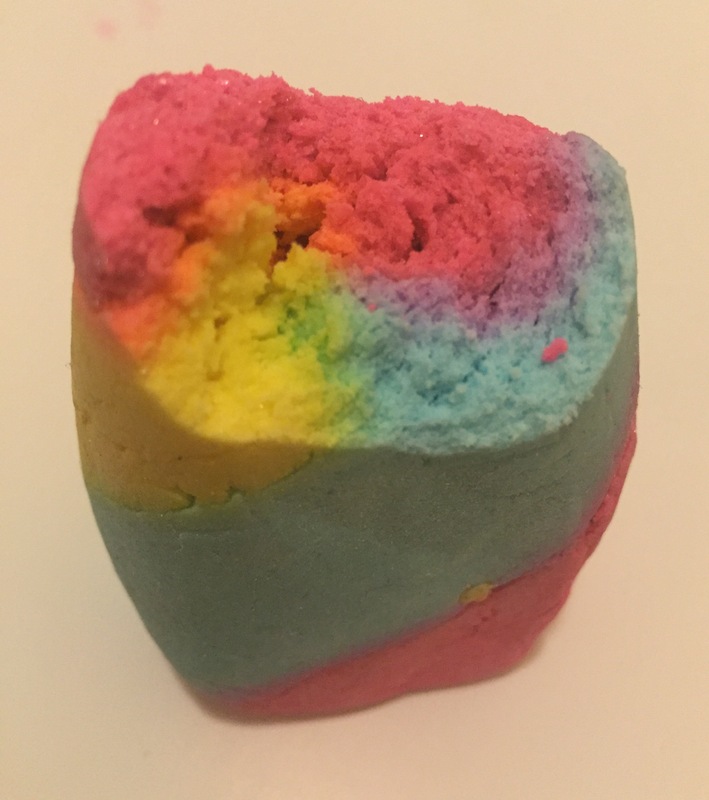 When I finally decide to get the unicorn out of my lush box and give it a go, I was surprised to find the scent had really changed. It was no longer over powering and I actually found the scent very pleasant. The scent was now more of a subtle lavender sent with a slight fruity twist. This scent is defiantly very calming and would be perfect after a long week or to relax you before bed. The unicorn horn is a great size and I only used a third for one bath, so you could easily get 2-3 baths out of one product. To use a bubble bar simple crumble part of the bubble bar under running water and it will create lots and lots of lovely bubbles. Once crumbled in the water, I found the unicorn horn did make an ample amount of bubbles. But the water didn’t turn much of a colour at all and I found the scent so light it could hardly be detected. Overall I think this bubble bar looks incredible but I’m not a huge fan on the scent and feel it is a little bit unimpressive once crumble and used in the bath. However i have a feeling this product is defiantly going to grow on me the more I use it. Ingredients – Sodium Bicarbonate, Cream of Tartar, Sodium Laureth Sulfate, Lauryl Betaine, Cornflour, Perfume, Lavender Oil, Ylang Ylang Oil, Neroli Oil, Citral, Limonene, Linalool, Colour 45350, Colour 45410, Silver Lustre, Snowflake Lustre, Candy Star. I can’t get over how pretty the colours are all crumbled together! 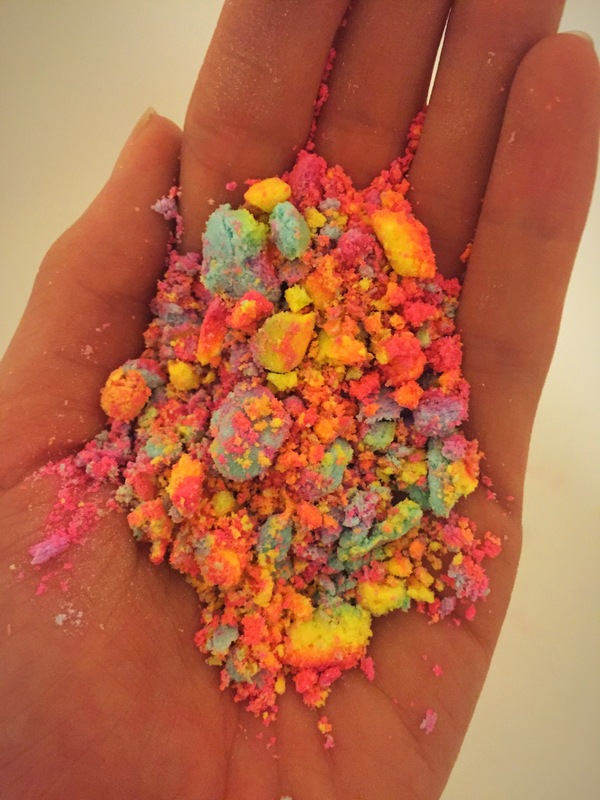 I spoke to a lady in lush who said this was a one bath bubble bar…. I have halfed mine and found the colour and scent much stronger, however I cannot help but think using a whole unicorn horn in a bath is rather wasteful and a very expensive bathing experience! The pretty colours is something that I really enjoyed from this bubble bar, it has the novelty factor to it. I think it depends on how many bubbles you like, I defiantly wouldn’t want it for a whole bath though it would cost you a fortune to do that.